Thank you to everyone who made 2018 a year to remember! 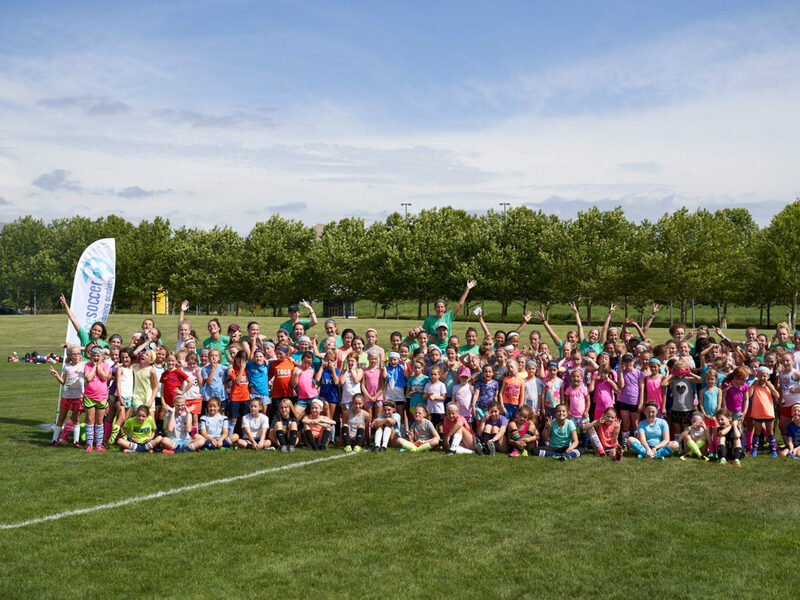 We look back and celebrate a year of awesomeness: empowering players through our girl-power based programming, the launch of Skills & Empowerment Camps, our partnership with Athleta, mentoring women from Saudi Arabia, supporting the refugees of Global FC, and most of all, getting to share our love of soccer. Over 200 girls attended our Skills & Empowerment Camps. Camp sessions are thoughtfully designed to develop skills and also encourage players to be the brave, strong and powerful girl she is. Interactive empowerment activities included the creation of Finesse ribbons and "I am" visualizations, sending home a tangible reminder to players that they are awesome. Next camp slated for early 2019. Help us schedule camp, let us know when you're available! Offered multiple free soccer clinics for the refugee soccer girls of Global FC. Many of these girls have never played sports due to cultural restrictions.